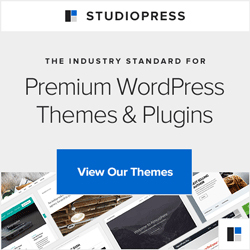 So – at last it’s here – the much anticipated new upgrade for WordPress with some very exciting features and evolutions – we’re itching to get stuck in. But… we’re going to wait just a few days. I’m not sure how, but experience suggests that allowing those lovely geek types, who create all the plugins we enjoy and which make our WordPress blogs and websites fly, a few days to be sure their creations will work with 3.0 is worth a few days. This may seem a little over-cautious, and it’s quite likely that the plugin developers have worked out any issues already, in readiness, but just in case we’ll hold-fire just a little and gently test the waters with those quieter, less demanding blogs before letting 3.0 loose on the busier, meatier blogsites with lots more functionality. We’ll have a look at how useful this new version can be, now that it’s here and most of you will be comfortable working with the firm release. Is it really that much better? Or are there just slight upgrades and tweaks? Which ever, I shall heed your advice, and if I can work out how to back up, deactivate etc I shall do so prior to playing!!! When is the WordPress 3.0 available?? It's a big leap, Paul, not just a version upgrade to close off security holes, etc. It's available now – when you next login to your Dashboard, you'll see the request to upgrade at the top. Hello, I've just tried to upload to wp3 but I can't get into my admin site.. it takes me to a page which looks like a file index… are there any wordpress maestros out there ? More than you can shake a stick at, Green! Pop an email to hello@blogmistress.com and let's see how we can help you.